↑ Moorhead, Patrick (4 June 2013). 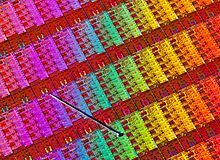 "Intel's Newest Core Processors: All About Graphics And Low Power". Forbes. ↑ Crothers, Brooke (2011-09-14). "Haswell chip completes Ultrabook 'revolution'". News.cnet.com. Retrieved 2012-01-04.